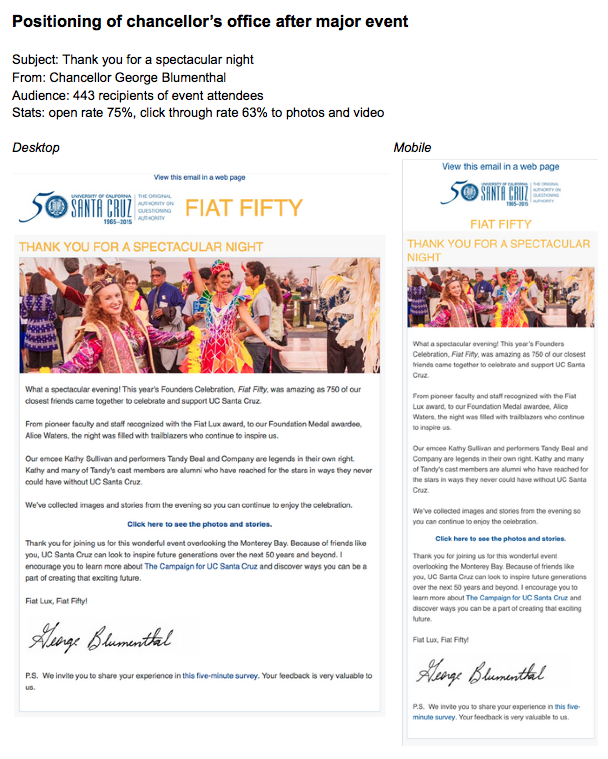 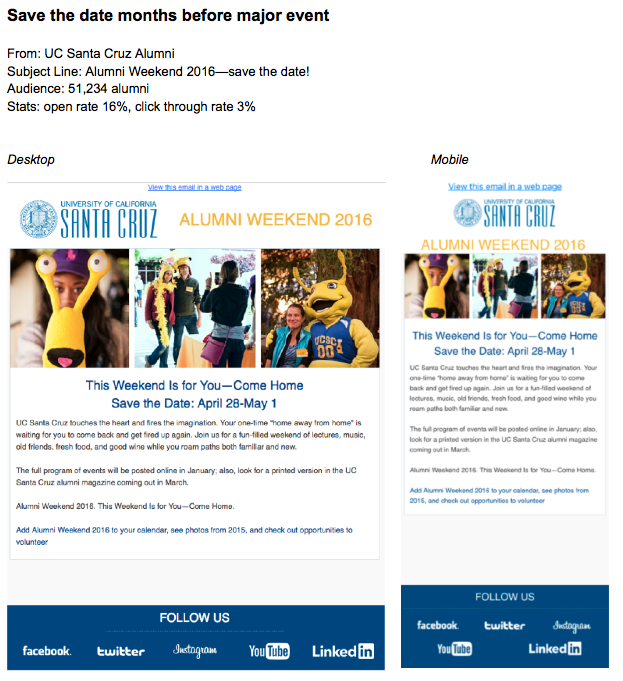 Look to these emails for ideas on how you can keep branding consistent on your UC Santa Cruz emails. 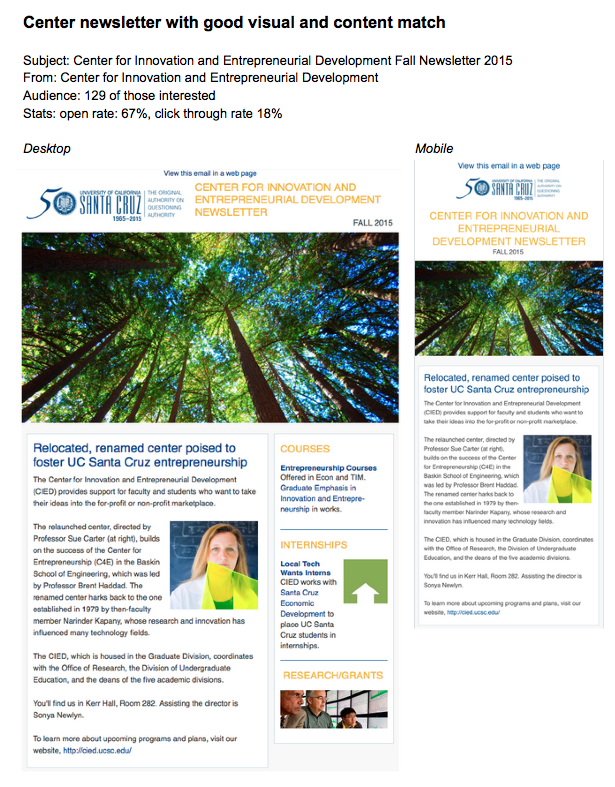 Examples viewed best on desktop. 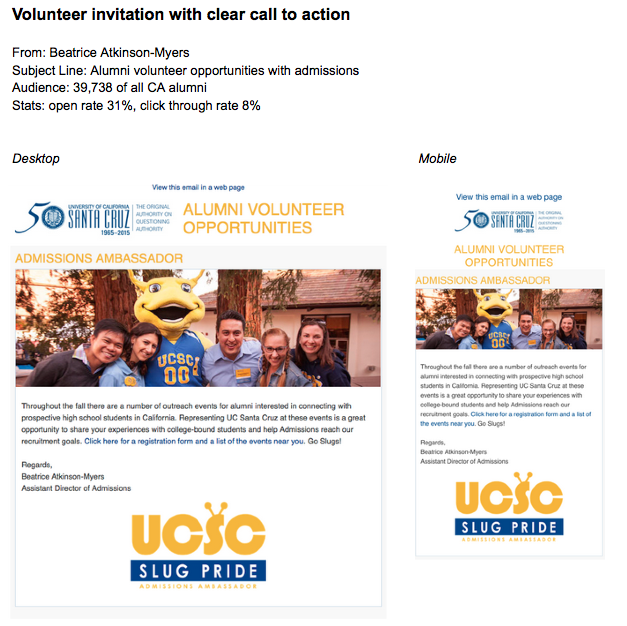 Visit our Button Builder tool on the UC Santa Cruz GitHub page to build your own custom buttons.